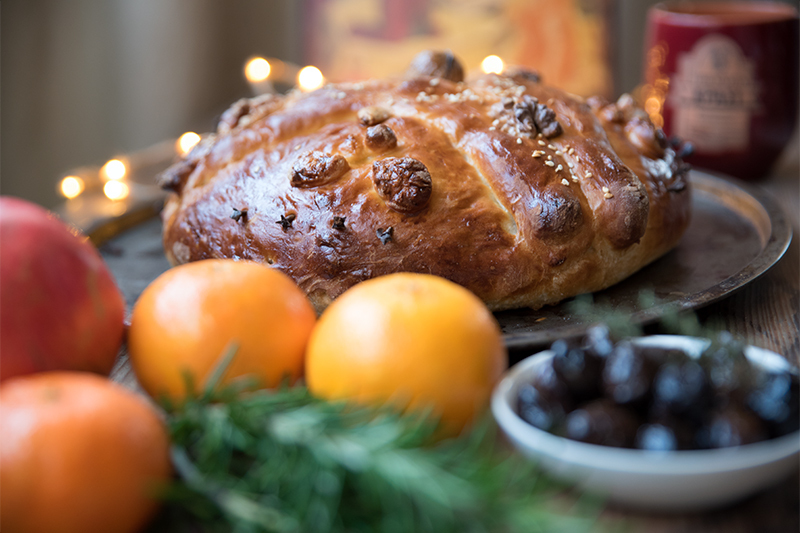 Christopsomo: A very special Greek Christmas bread for the holidays! 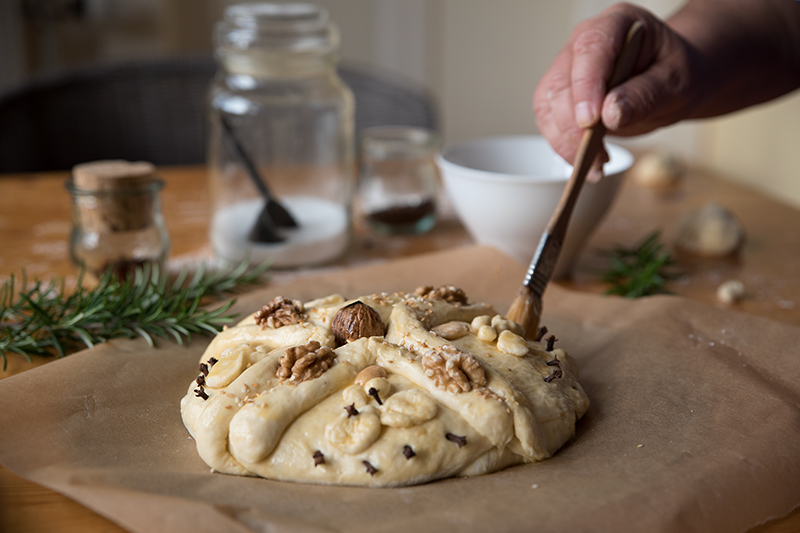 Christopsomo literally means “Christ’s Bread”, which we make a few days before Christmas. Making Christopsomo is a tradition that dates back thousands of years and is considered sacred in Greece. There is always a cross on the top of the bread that represents the cross of Christ (after putting it in the oven mine does not look very much like a cross, but I tried). 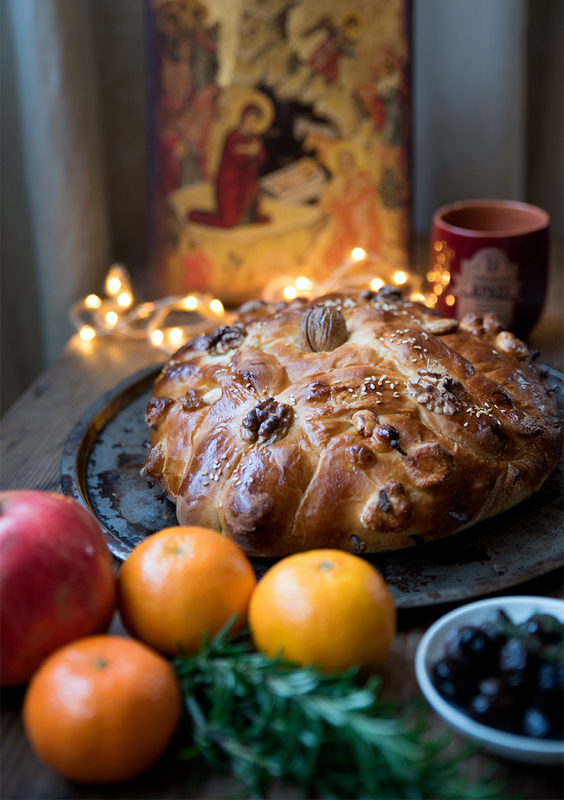 For the Greeks, making this Christmas bread is like making an offering to Christ. We make this offering with special care and love. We feel it will strengthen the wellbeing, health and happiness of our household. Traditionally the lady of the house makes the bread. 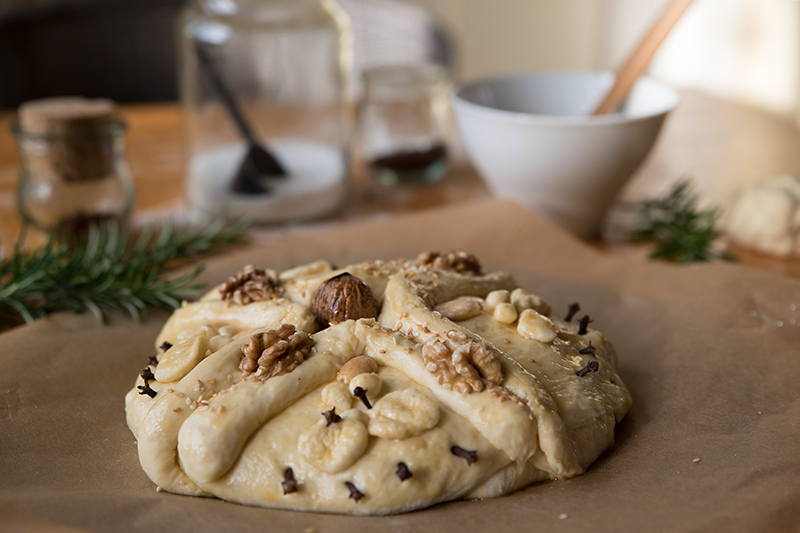 She mixes wonderful ingredients like walnuts and raisins into the dough. To make the bread sweeter she adds some sugar or honey. After making the dough, she uses the largest part to make the Christmas bread. With what is left she makes smaller breads for her Vaftistiria, Godchildren. When they wait for her to bring presents for Christmas, they mostly care about the small Christopsomo. On Poros they call them Koutsounes, although I don’t know what that means. There is usually an entire walnut in the middle of the cross. 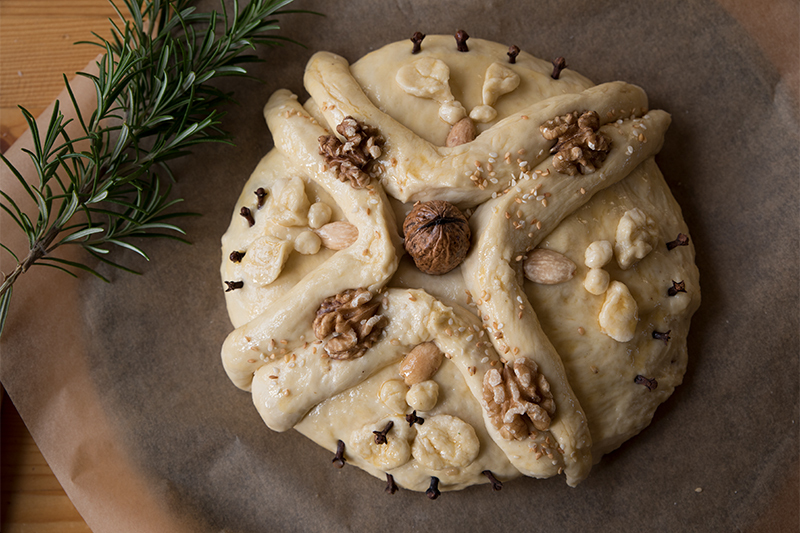 We decorate it with pieces of dough, nuts and sesame seeds. In other parts of Greece the dough is formed into elaborate decorations that would represent the family’s life and work, like a boat, fish, goats and so on. The Christopsomo recipe differs from place to place. We used to make a very simple bread and then just work some sugar in it. This year I have tried to make it a bit more special and it came out really nice, warm and fresh out of the oven. When the Christopsomo is ready, the father of the house will bless the Christmas bread by making the sign of the cross before he cuts it and shares the pieces with the family all around the table. I hope you feel inspired to make Christopsomo for Christmas and you share it with your friends and family. We start with making the beautiful dough! 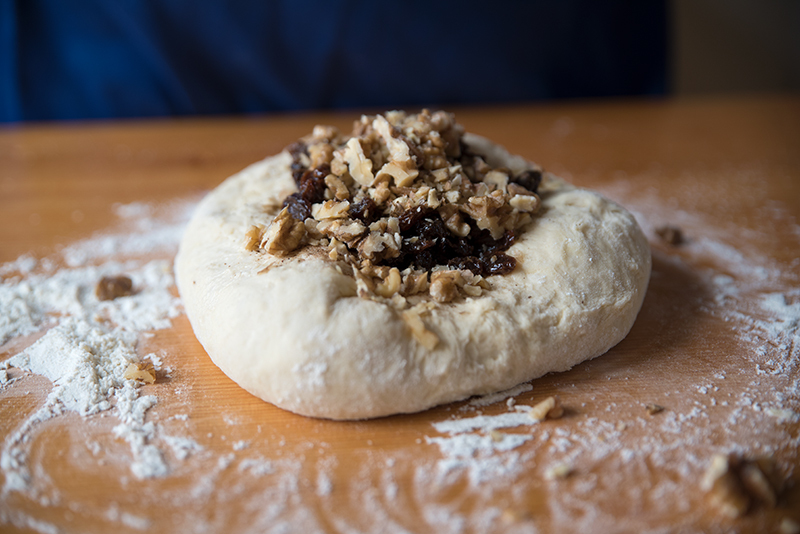 Add the raisins and the walnuts to the dough and knead it well. 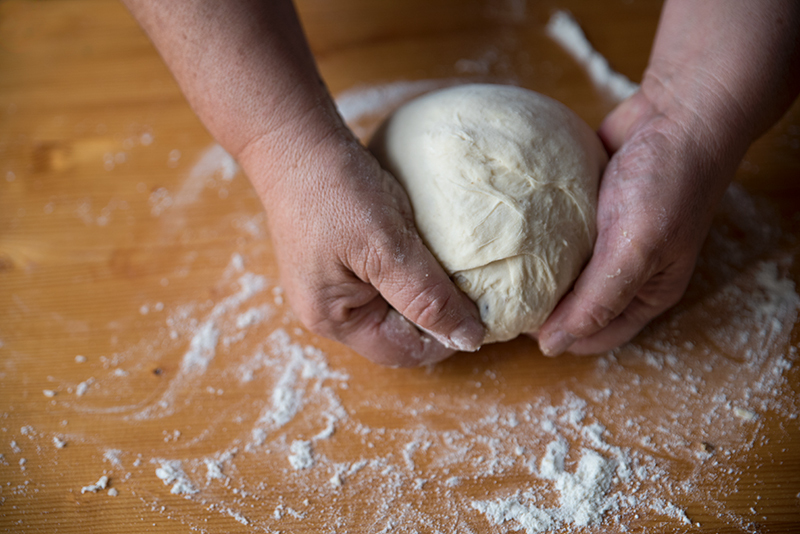 Create a nice, soft ball from the dough. Shape the bread as I have in the pictures below. Cover a baking pan with ovenproof paper, put the dough on it, cover it with a damp cloth and let it rest while you are creating the decorations. Roll the saved dough into strips and create the cross. Brush the top of your bread with a beaten egg and set the cross on the top. Decorate it with walnuts and cloves or anything you like. Brush again with the rest of the egg. Your bread is ready for the oven! Bake it in a hot oven at 200 °C for 25 to 30 minutes, reduce the heat to 170 °C and bake it for another 10 minutes. Enjoy your freshly baked Christopsomo! I and the entire Odyssey team wish you a Merry Christmas! Do you want to cook with me at Odyssey? Mix the yeast with the warm water and the half of the sugar, stir until dissolved and set it aside until it bubbles. In a large mixing bowl, combine the salt, cinnamon and ground cloves with the flour. Make a well in the centre of the flour and pour in the yeast mixture and the olive oil. 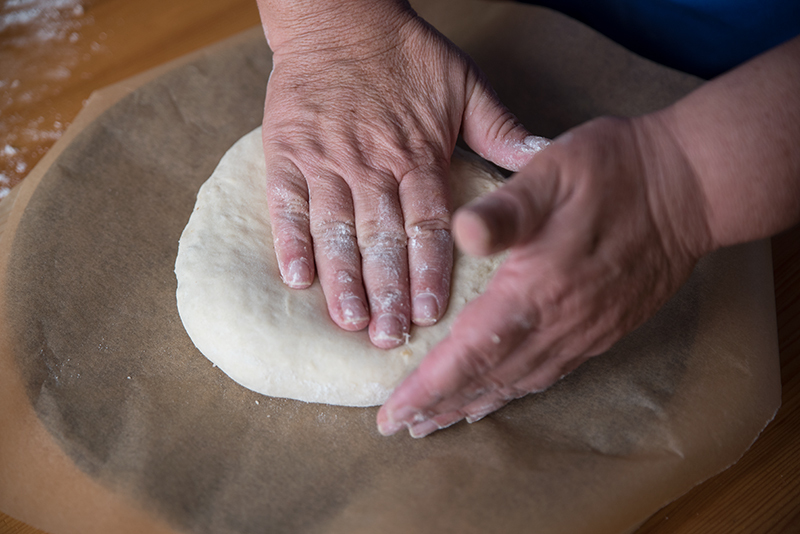 Mix until a soft dough forms, cover with waxed paper and a damp towel, and set aside to rise for 15 minutes. Punch the dough down and knead for several minutes. 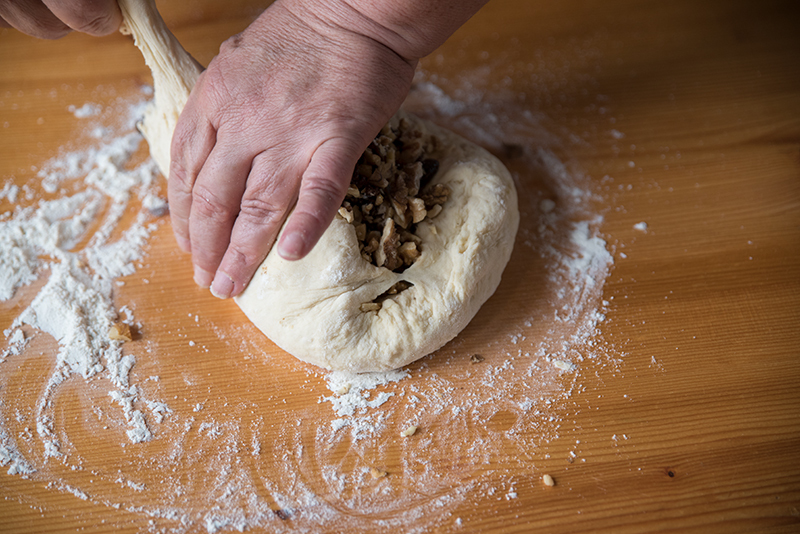 Add the raisins and the walnuts and knead well to a homogenous dough! Cover, and allow it to rise for 1/2 hour. 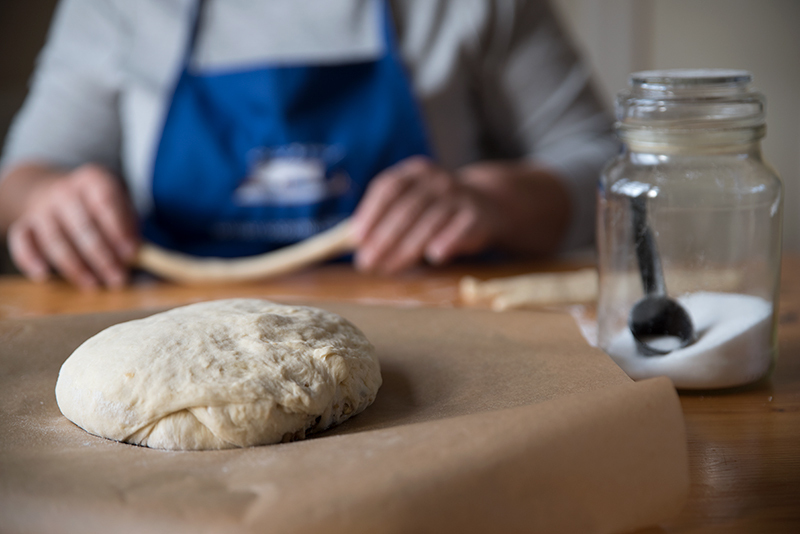 Take a part of the dough and set it aside. 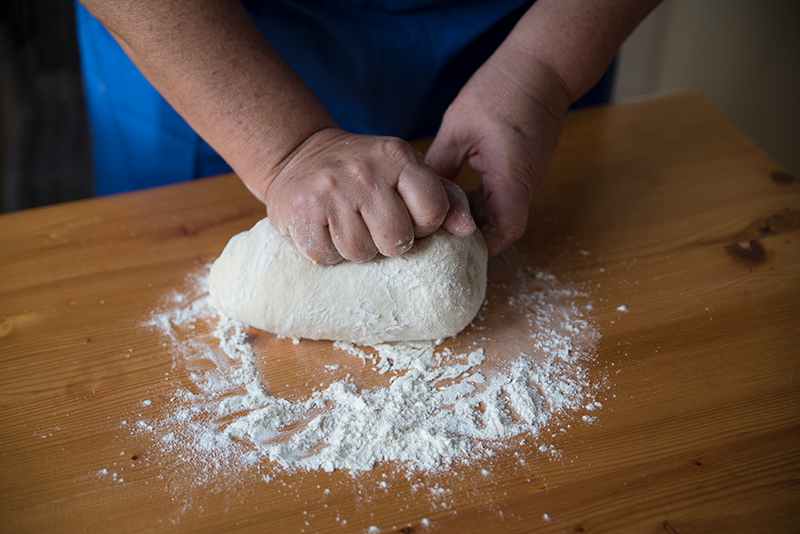 Create a nice, soft ball from the dough, with your hands, and shape the bread as I have in the pictures. Cover a baking pan with ovenproof paper, put the dough on it, cover it with a damp cloth and let it rest while you are creating the decorations. Roll the saved dough into strips and create the cross. Brush the top of your bread with a beaten egg and set the cross on the top. Decorate it with walnuts and cloves or anything you like. Brush again with the rest of the egg. Bake in a hot oven at 200 °C for 25 to 30 minutes, reduce the heat to 170 °C and bake it for another 10 minutes.